Well. 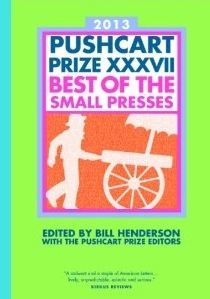 I am downright delighted to report the happy news that my Creative Nonfiction essay, “The Butterfly Effect,” has won the coveted Pushcart Prize and will be published in The Pushcart Prize XXXVII: Best of the Small Presses, coming out in November of this year. The 60 selections in fiction, creative nonfiction, and poetry, were culled from 8000 nominations submitted by hundreds of America’s small presses. Yup. This is a Big Deal. I’m thrilled that my essay about the decline of the monarch butterflies and the rise in people suffering from multiple chemical sensitivity will be immortalized in book form and reach a much wider audience. You can pre-order the anthology here.